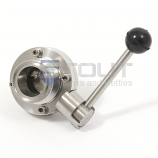 The tangential fitting provides the ability to recirculate the water while simtaneously running the mash wort through the HERMS coil for faster and more efficient heat transfer. This hot liquor tank also features an inproved HERMS coil, with a larger diameter, for faster and more consistent heating. Coil Dimensions: 12mm OD (Approx. 1/2") x 32.5' long.